The technology utilizes 70-80% of the current helmet manufacturing infrastructure, resulting in a reduction of the investment risk when adopting a new helmet technology and increasing the potential for transition to commercialization. Our helmet technology will allow the Armed Forces to field the next generation of ECH, Lightweight ACH and CVC helmet solutions to lighten the load of the Warfighter. 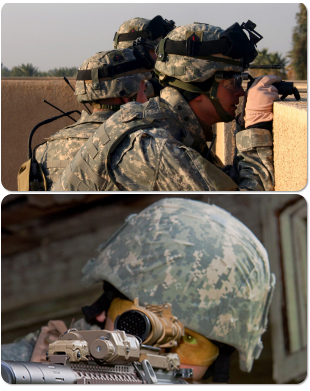 INTER Materials received the 2011 US Army Small Business Innovation Research Achievement Award for its innovative low cost manufacturing technology for high ballistic performance composite helmets.